Discussion in 'WIP (Work in Progress)' started by Arnold, Sep 6, 2008. This is my new map, it is fairly finished now so i created this thread a tad too late i guess. 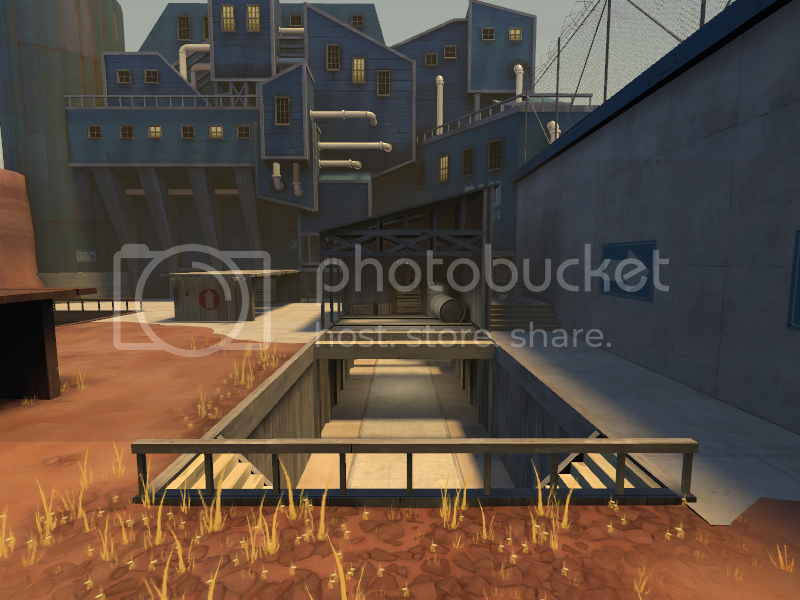 It's basically a reversed CTF and chances are that there already is a map like this but i thought i'd just go for it since would be a nice touch to distinguish this map from the regular ctf maps out there. 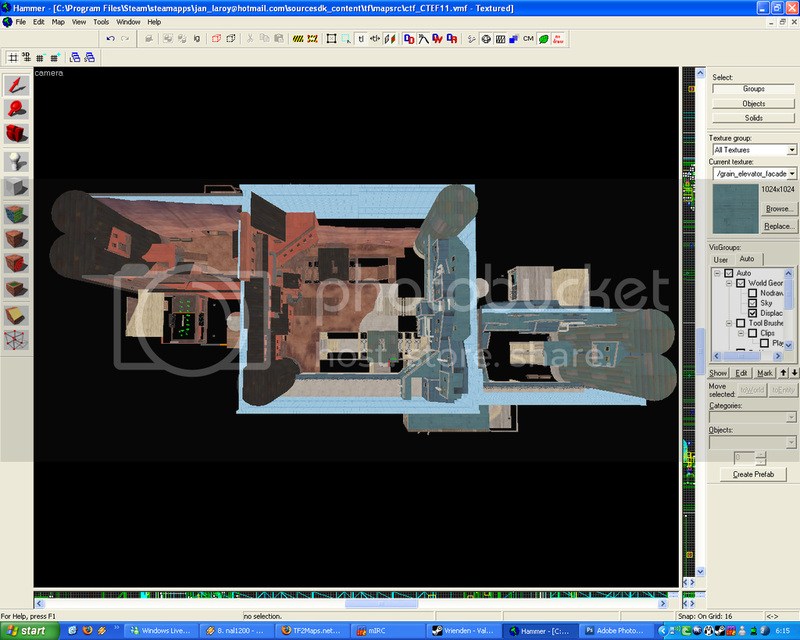 here are some screens of the almost final, detail to be added everywhere but middle. I would just like to know how this map plays most of all, so if anyone could give this one a quick run it would be greatly appreciated. Yeah. Very nice brushwork. I envy you. 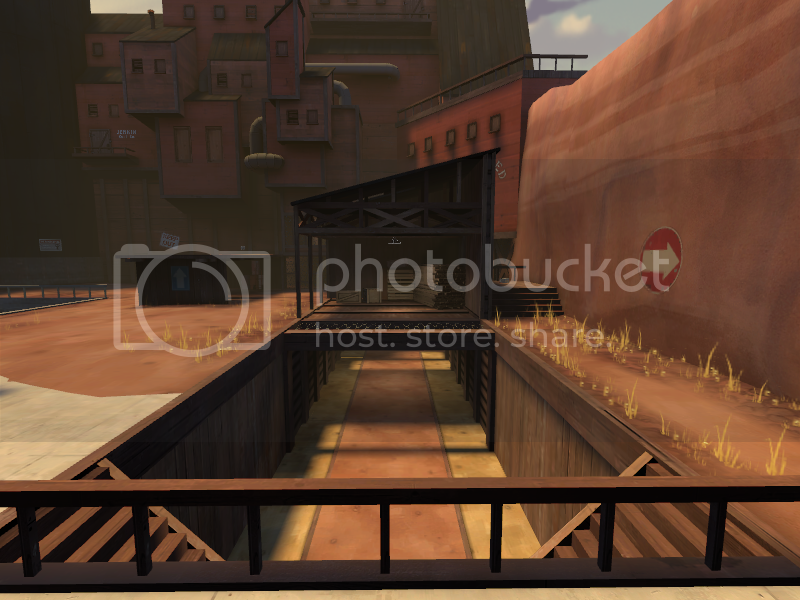 The buildings are really cool, they're a refreshing change from the TF2 norm while still keeping a cartoony look. Well done on that. I'm not too sure about the game mode, really. 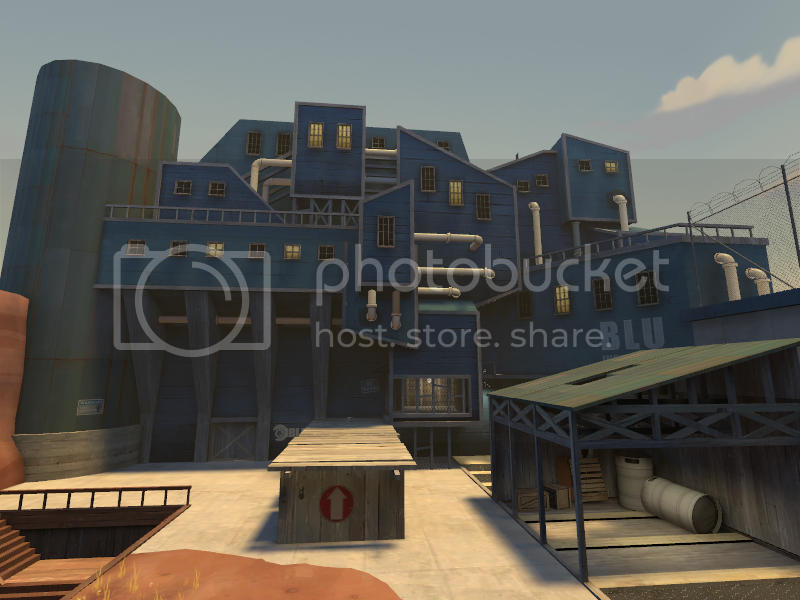 There's a map called ctf_delivery (fun fact: that name was suggested by me ) that uses the same rules, and when I played it, it seemed that nobody understood what they were supposed to do even when a giant colored text box shouted it in their faces. I think the thing is, reverse ctf is essentially half-ctf - you have to get in but not out, and once you pick up the flag, you are sort of committed to take it into the enemy base. Hopefully it appeals to the more lazy players out there who just stand about fragging in no mans land because their survival rate drops significantly when entering the enemy base. Since getting out alive isn't really a necessity. I would like to think this version of CTF catches on. I'm a bit fed up of the ctf maps turning into DM all the time. 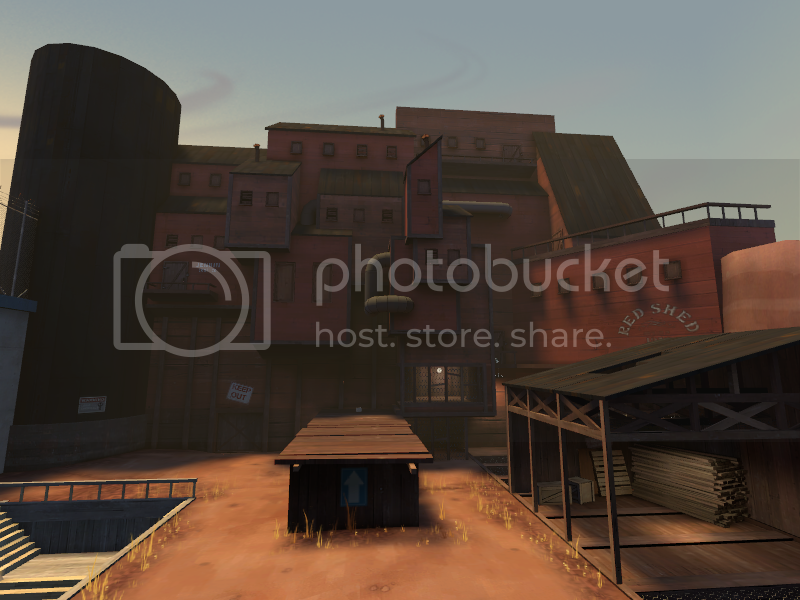 I'd like to see the blu side fit more of the original TF2 theme but i can't tell all mappers what to do, you seem to have an idea of what you want from this map. Plus i can't deny that it isn't pretty as it is. It just looks a bit odd without the traditional rooves. 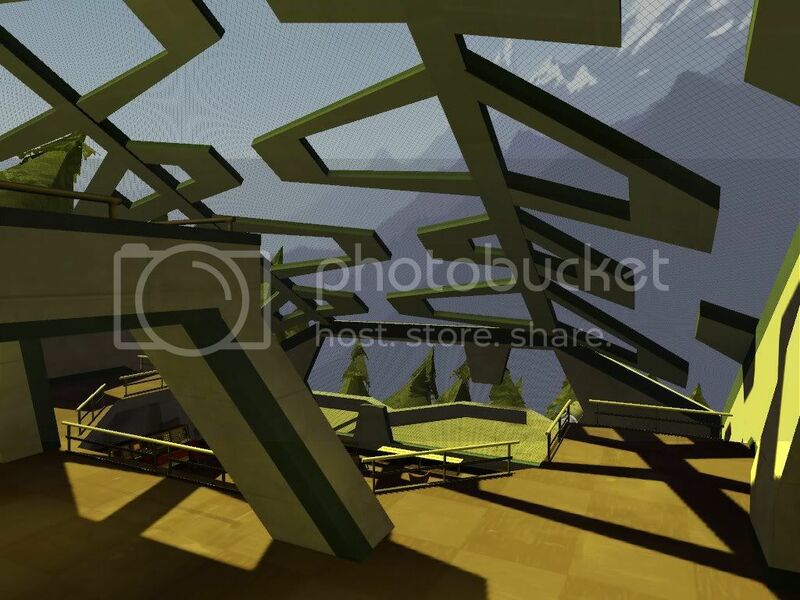 I do like the extended platforms to jump up onto in no mans land, that's a cool feature i remember seeing in one or two custom TFC maps back in the day. Which played very well. I really like the Picasso-style architecture. 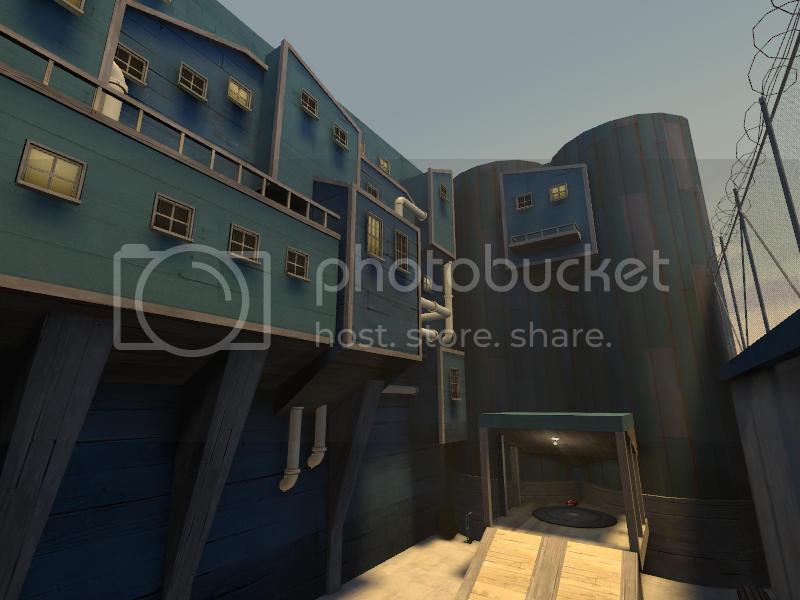 about the blu base, i didn't want this map to look like any other map out there but still maintain an appealing and acceptable look. Also about the ctf mode, it is basically half ctf but there will be some twist since they can track the flagholder with the hud below. Anyway scoring points will happen more frequent but i don't think that's a bad thing. But i am only speculating as for now, since i never really played it on a full server before. It looks really neat. The odd shape of the bases is quite astounding. I hope it plays as good as it looks. I might ask my team's server operator to put it on so we can try it out. That's got to be the coolest looking building I've seen yet. Awesome. And I think the game play is a good idea too. Sorta like payload, but the payload moves with the player. 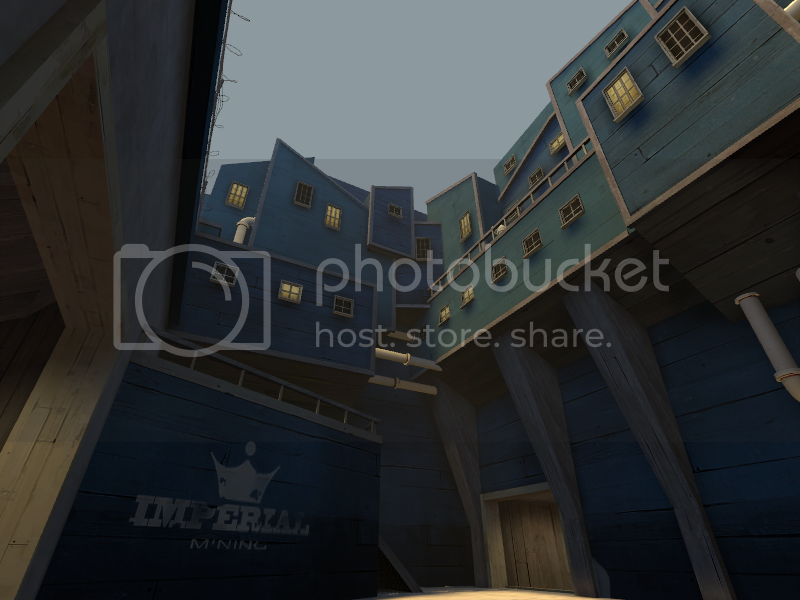 I used the reverse CTF for avantiville. It's quite amusing, any customs lover will find it a nice change of pace. Good job! ..are you using the speed penalty for the flag carrier? Actually i didn't add a speed penalty for the flag carrier cuz i don't think it is a necessity since both team can score points by taking the flag to the enemy's base. but i still have to see how this plays out since i haven't played it with more than 4 people yet. Please don't change your mind when it comes to speed change either. It just won't feel right, I'm sure of it. Ya, the speed penalty severely slows the pace. If you can, (back when I used the attack defend mode on the intel... it had to be on) leave it to normal speed like all the other CTF maps. Or just dont use attack/defend mode. With the speed penalty on, no one will want to carry the damn thing! lol!